The suspects snatched roughly $125,000 worth of jewelry from Bloomingdale's at Stanford Shopping Center and caused damage worth more than $55,000. 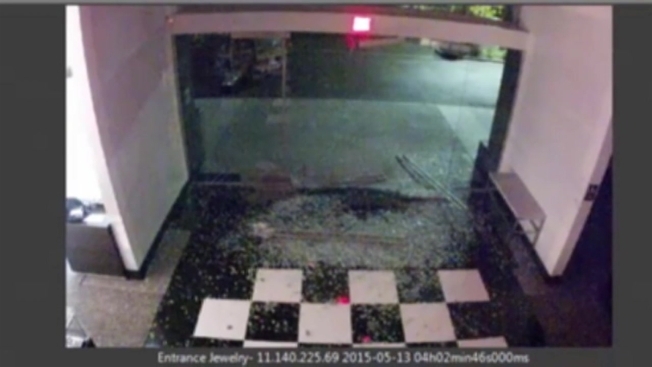 Palo Alto police have nabbed two of three men accused of plowing through the glass doors of Bloomingdale's at the Stanford Shopping Center in a stolen SUV and making off with a large amount of jewelry in May 2015. Police are seeking the public's help in apprehending an outstanding suspect. They also believe a woman participated in the crime and continue attempts to identify her. Around 4:15 a.m. on May 13, 2015, dispatch learned of a burglary at the store, which is located at 180 El Camino Real. Police said the suspects used a stolen vehicle to break down Bloomingdale's doors, and then ran inside, smashed several glass jewelry display cases and hightailed it out of there with the stolen goods. 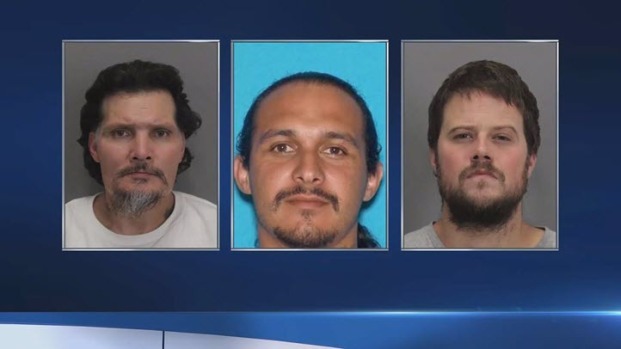 According to police, the suspects snatched roughly $125,000 worth of jewelry and caused damage worth more than $55,000. A police officer later found the unoccupied SUV, which had been reported stolen the day before, on the 200 block of Palo Alto Avenue, police reported. An investigation and forensic evidence led detectives to the Antioch home of Bobby Donald Burke, 34. With the help of a search warrant, police combed through his Grangnelli Avenue house on July 15, 2015 and located a watch that had been stolen from Bloomingdale's, police said. Burke was behind bars at the Contra Costa County Main Jail at the time for an unrelated offense, where he was also served with felony arrest warrants for commercial burglary, grand theft, vandalism, possession of stolen property and vehicle theft. Upon his release on Sept. 2, 2015, Burke was once again arrested and booked into the Santa Clara County Main Jail, police said. The investigation also prompted Palo Alto detectives to conduct probation searches at two Hayward residences in October 2015. At a Culp Avenue house, police recovered a bracelet that was traced back to Bloomingdale's, police said. Detectives identified a father and son, who were involved in the case, and obtained arrest warrants for the pair. They were charged with commercial burglary, grand theft and vandalism, according to police. On January 27, 2016, detectives arrested 49-year-old James Edward Sandoval of Hayward when he was freed from Alameda County’s Santa Rita Jail where he served time for unrelated charges. Police said he was booked into the Santa Clara County Main Jail. The third suspect, Joseph Daniel Sandoval, 30, of Hayward, remains at large. His current whereabouts are unknown, police said. People with information about this case are asked to call the Palo Alto Police Department's 24-hour dispatch center at (650) 329-2413. Anonymous tips can be sent to paloalto@tipnow.org or via text or voice mail to (650) 383-8984.